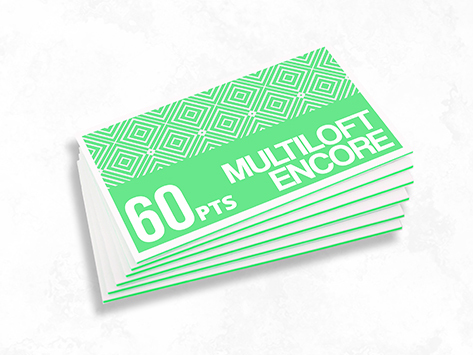 Our new Encore range uses MultiLoft technology to create a truly unique postcard with colour right through the core. Choose from 7 of our standard colours, Black Licorice, Wild Cherry, Blu Raspberry, Pacific Breeze, Orange Fizz, Kraft or Pearl, and then choose your desired thickness. By creating a 60pt postcard you are increasing the thickness of the colour strip in the middle to the max, making the cards even more striking.